Supervisor Sheila James Kuehl, representing Los Angeles County’s Third District, was elected on November 4, 2014 and assumed office on December 1. She previously served eight years in the State Senate and six years in the State Assembly. She is the Founding Director of the Public Policy Institute at Santa Monica College and, in 2012, was Regents’ Professor in Public Policy at UCLA. She authored 171 bills that were signed into law, including legislation to establish paid family leave, establish nurse to patient ratios in hospitals; protect the Santa Monica Mountains and prohibit discrimination on the basis of gender and disability in the workplace and sexual orientation in education. She fought to establish true universal health insurance in California. 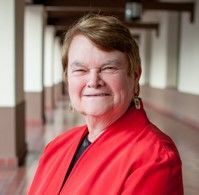 Prior to her election to the Legislature, as a public-interest attorney Kuehl drafted and fought to get into California law more than 40 pieces of legislation relating to children, families, women, and domestic violence. She was a law professor at Loyola, UCLA and USC Law Schools and co-founded and served as managing attorney of the California Women’s Law Center.